I need some help from a draft expert on this. 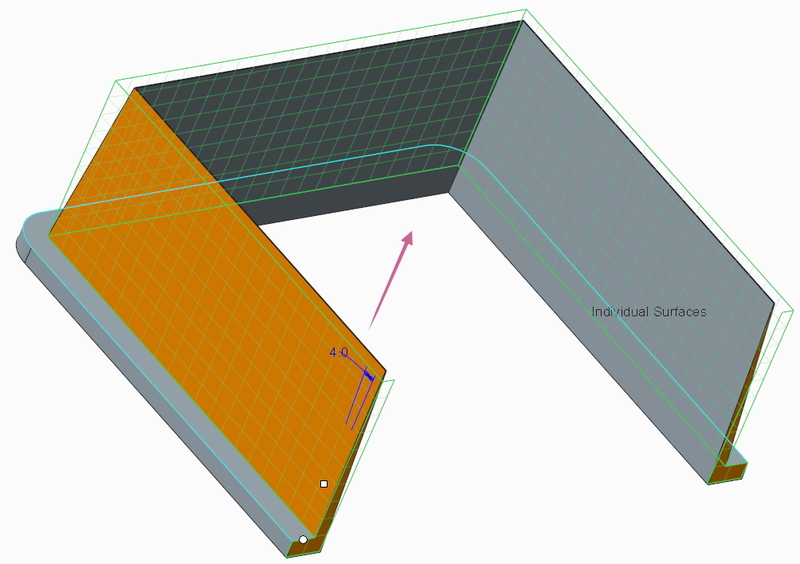 I am trying to draft 3 edges that are the same surface all towards the same center. In the pic below it shows a basic version of the complex edge I'm trying to add draft to. Currently I have to split this into multiple drafts all with varying angles to get it to work. This doesn't work though because I need the 2 open ends to have the same draft angle. Please feel free to ask questioons if I haven't explained this welll enough. I'm attaching the Creo file as well if anybody wants to show me an example rather than explaining it. 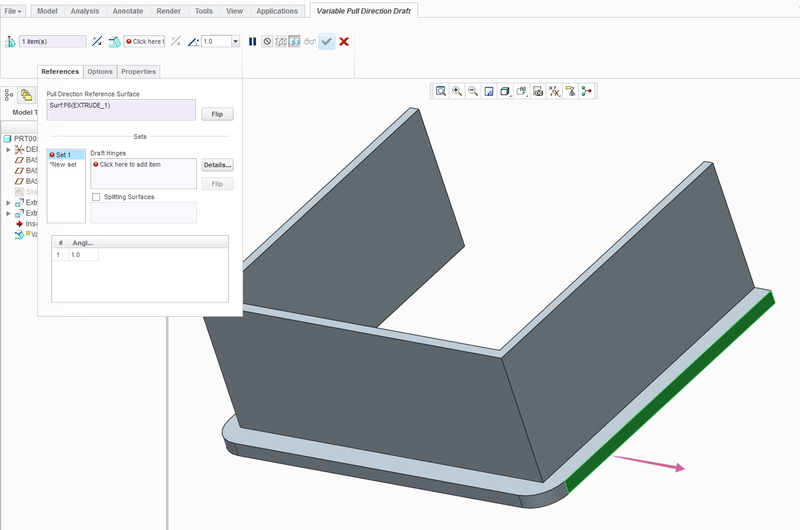 Use the "Variable Pull Direction Draft"
Now you can adjust your angle. 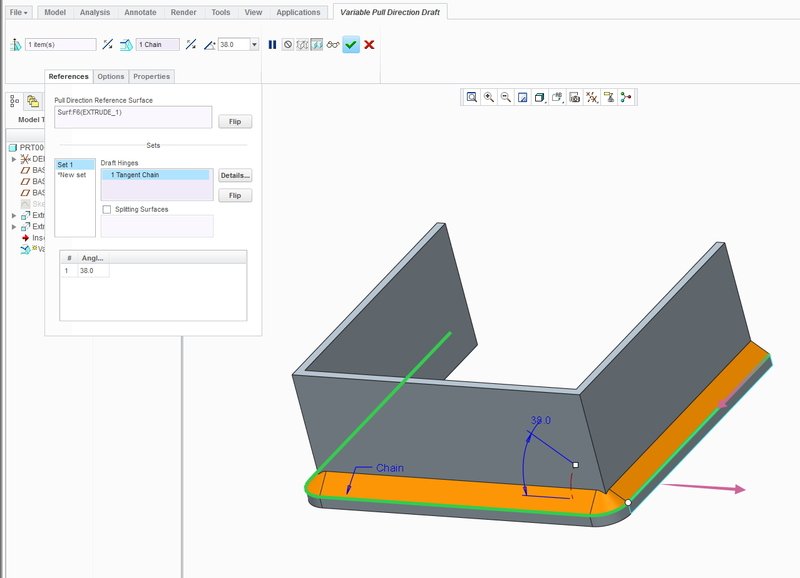 Note that this method allows you to create drafts with angles larger than 30 degrees that you are limited with in the normal draft tool (except Creo 3.0 and beyond). Hope this helps. If you were referring to the first image in my post above, I can give specific instructions for that too, although that method is more straight forward with the normal draft tool. I don't understand what surfaces you are trying to draft. Do you mean like either of the two following images? 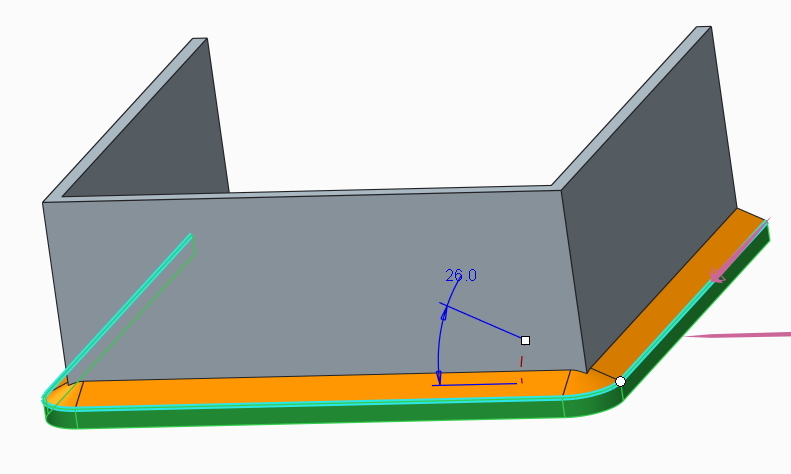 I think if you can markup a couple of 2D or 3D screen shots to show the parting line splits in the mold it would clarify what you are trying to do, it is not clear from your verbal description. I can see multiple options for splitting the mold to make this piece, all drafted differently. The post made by Eric Terrell is exactly what I am trying to do. I couldn't get the edges to meet correctly at the corners though. I had to remove all the round from my original flanges and then do it in 3 seperate sections after that. Maybe you could expand on what you did to create that feature...Maybe i'm missing something. I believe you could also use Variable Section Sweep using the normal to projection option. Your draft direction reference would be your normal to projection reference and your trajectory would be the same edge Eric shows in his answer. Using VSS for drafting also allows you to go beyond the 30 degree limit. 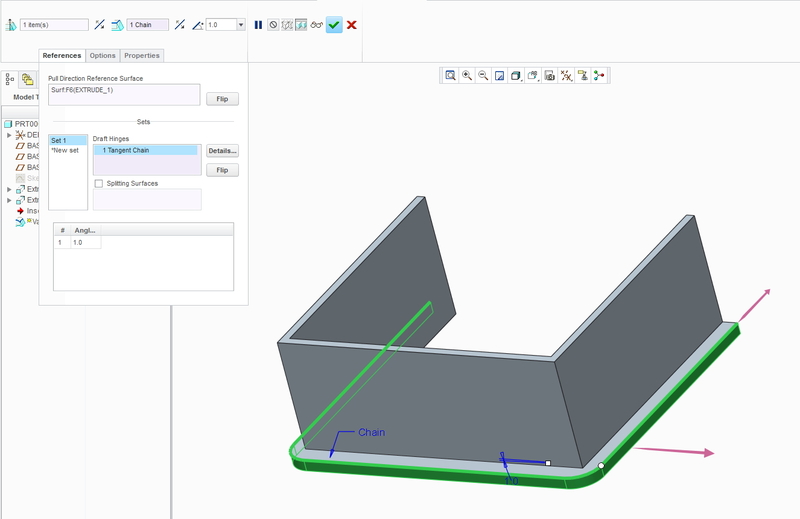 Used ProE/Creo for years and was not familiar with this aspect of draft. As Suzie suggested I have made complex drafts many times using VSS surface modelling. Will give your suggestion a try.